Rhythms are certainly the largest challenge in reading and writing music. This book makes learning to read and write rhythms easy, teaching you in a step-by-step method starting from the very basics. Supported by recordings of the exercises and worksheets that help you practice the material, you will have all you need to learn quarter note, eighth note, and triplet eighth rhythms, including syncopations. 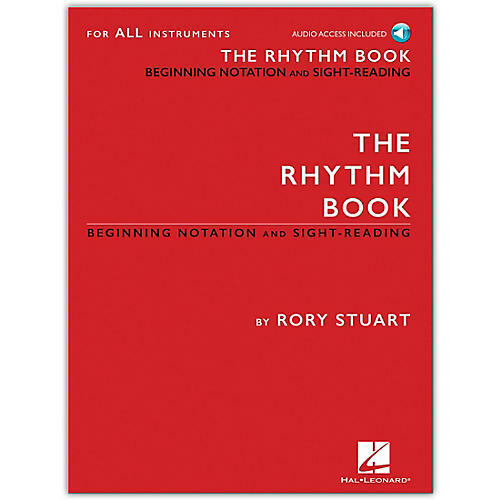 Whether you are an experienced musician who has never learned notation, a total beginner, a vocalist or student of any instrument, or interested in playing or composing any style of music, with The Rhythm Book you can build a solid foundation in reading and writing rhythms.